Yes. Ignition cylinders are just locks, and they can be taken apart and put back together with different internal components. 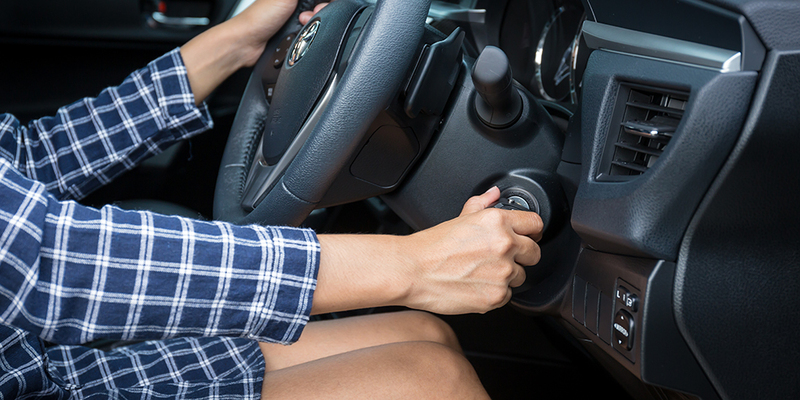 Any experienced auto locksmith can rekey an existing or new cylinder for your car’s ignition. When you are looking to rekey ignition your cylinder, choose the experienced professionals. To get the best service chose a professional locksmith with years of top quality results. How long does it take to rekey ignition cylinders? Rekeying an ignition cylinder is often a part of the process of replacing the old cylinder. When both of these services are combined, the process will take around twenty minutes, assuming there are no complications. If it is possible, and desired by the customer, the existing cylinder can be rekeyed without being replaced. This will potentially take less time than the combine services. The most common reason that an ignition is rekeyed is that after an ignition replacement, the customer would like to operate their car locks with one key. A new ignition cylinder that you would get as a replacement does not come with keys to your car. Any quality replacement cylinder will come with keys that are already coded to it. That new cylinder will have the existing wafers emptied. The old cylinder will be taken apart so that it can be decoded. Then the new cylinder can have the same key code as the old one. If this were not done, then you would have a key that works in your ignition, but not in you doors, and vice versa. You can have your ignition rekeyed to fit the original key, or have all other locks rekeyed to fit the new key. Rekeying everything will take more time, but it is definitely an option. In certain cases, yes. If the issue with your ignition is that its internal components, like wafers or pins, are the only faulty part, then those can be replaced. Chances are you will want the cylinder to be keyed alike to the door and trunk locks, so this would not be a traditional rekey. Rekeying means that the lock is made to work with a new key. But semantics don’t matter to this locksmith. As long as you are happy with the service you have received and are safer than you were previously, then we have done our job. There will be some instances where there will be too much damage to rekey ignition cylinders. When this happens, the replacement ignition can still be rekeyed. There is some sort of issue with the ignition. This could be how the key is being read by the cylinder or an issue with the ignition switch. If the problem rests with the ignition cylinder then it may need to be replaced. When it is replaced, it is common to rekey ignition cylinder replacements to the old key code. If the damage to the cylinder is specific to the wafers or pins in the lock, then you may just be able to rekey the ignition instead of replacing the entire cylinder. This could be one of the many reasons your car won’t start. United Locksmith uses the best mobile technicians in the industry to deliver fast and helpful service wherever you need it. This ability extends to cover all services, including the need to rekey ignition cylinders. With an ignition that is causing you problems, it can be impossible to move the car without the use of a towing service. From there you will still need to pay for servicing. The smartest solution is to have your technician come to you. When you use United Locksmith, you can get our mobile service delivered by appointment or immediately with our emergency 24/7 locksmith service. Locksmiths have being rekeying locks ever since locks could be rekeyed. No matter what type of lock it is, if it can be put back together, it can be rekeyed. Being able to put the lock back together is a very important part of the rekeying process, as pretty much anything can be taken apart. To find out why reassembly is so important for rekeying we will need to talk about what rekeying means exactly. As you may have guessed from the name, “rekeying” is the process of changing the key that works with an existing lock. The difference between rekeying and replacing is that the lock, which is in use, is not being removed permanently. To rekey ignition cylinders, the cylinder just needs to be removed so that the internal components can be accessed. In the case of car locks and ignitions, these components are most likely going to be wafers. When the key is inserted into the ignition, it moves all of these wafers to a uniform height. This “uniform height” is referred to as the shear line of a lock. With all of the internal components of a lock resting on the shear line, the plug of the device is free to turn. Without the correct key, all of the wafers are different distances from the shear line. The reason for this has to do with the cuts on your key. For car locks, the key will most likely have a double-sided wafer interface or a slider cut. 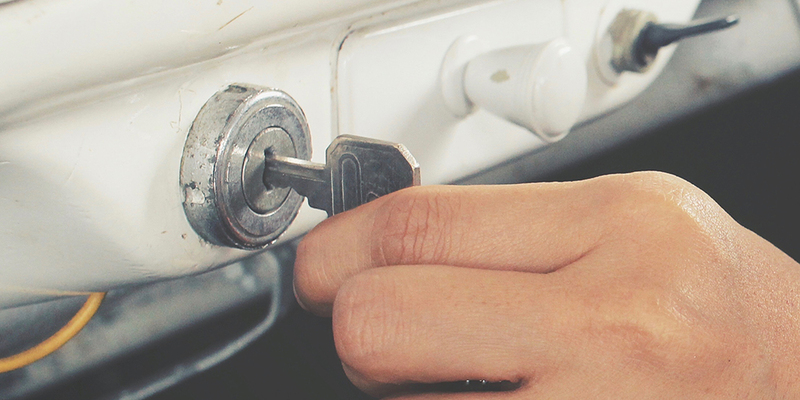 Regardless of the style of lock, your technician will be able to replace the small locking appliances. To rekey ignition cylinders, the first thing that needs to be done is access the cylinder. In order to access the ignition cylinder, the locksmith will begin removing the dashboard panels. Before doing this, the battery of the car should be disconnected. This prevents electric shock, and will keep the key manipulation from cranking the engine or turning on the electronic systems. These are plastic pieces that require different unlocking methods and a distinct order of disassembly. If you are attempting to complete this process yourself, know that most cars will use a set of tamper-resistant screws, and you will need special tools for this type of job. Screws will be removed and snap latches will need to be disconnected. Snap latches can be very tricky. The greatest display of a professional is for them to be able to undo these latches without breaking them. This will take artistry that can only be gained through experience. Sometimes these latches need to be manhandled as part of their design, and other times rough treatment will result in the latch breaking. Only a professional will be able to truly know the difference. After all of the necessary panels have been taken off the dash the ignition housing will be exposed. At this point in the process to rekey ignition cylinders, the cylinder will be removed temporarily. The key will be inserted into the ignition and turned to a specific position. This position will vary depending on the make and model of the vehicle. In most cases it will be the accessory position, but could also be the “ON” position, the accessory into the “ON position, or even the “ON into the start position. When the cylinder is faulty, you may not be able to get the key into position yourself, and this is where the assistance of a locksmith will really come in handy. Once the key is moved to the proper position, there will be at least one security pin that will need to be depressed. This will be accessible through a small hole somewhere on the cylinder housing. Accessing this tool will take a properly sized tool. If the cylinder is stuck, wiggling the key back and forth as the side pin is depressed can solve this. In the event that the cylinder is truly stuck, there may be some sort of further protection such as an additional pin or screw. With the cylinder outside of the housing, there are still some metal bits that need to be taken off. The exact place on the cylinder will depend on the type of car. Often there will be several clips and castles. Once all of these additional parts are taken off, the lock can now be rekeyed. When the key is removed, this will free up all of the wafers or pins. If there are pins/wafers, which are bound in place, these will need to be removed more forcibly. With the code of the new key, your locksmith will insert new locking parts that correspond to the different key cuts. The cylinder will need to be put back together, then the key will be moved into the same position required to remove it in order to reinstall it in the housing. The car can battery should be reconnected to see if the key is working properly. Then the panels can be put back together. That is what it takes to rekey ignition cylinders. Lots of things can go wrong with doing this kind of work yourself. The panels can break, and then you will be left with exposed wires in your car. The latches may break, and that will create a hassle for reassembly, and may call for permanent reattachment. While the panels are off during the process required to rekey ignition cylinders, the exposed wires can be damaged or unplugged. Using tools to interfere with your ignition housing can also damage the car. Poking and prodding the assembly can mess with connections that are used to start the vehicle, and that will require further repairs. Once the plug of the cylinder is exposed, and wafers are being removed, it is very easy to lose parts. Things like small springs are hard to find if they fall on the ground, but they are unbelievably necessary to the lock. To avoid making a mistake that could damage your car, it is always best to hand over the reigns to a trained professional.